(MU/VMT) (Burlington, VT) 1981 - 1984. Photos. Framable Color Prints and Posters. Digital Sharp Images. Aviation Gifts. Slide Shows. 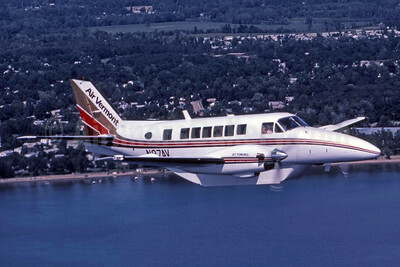 Air Vermont Beech C99 N97AV (msn U-205) (Jay Selman). Image: 403940.